Thinking about golf? While there's not a lot of options available for Key West golf courses it still is a great place to plan a golf trip since the weather and party atmosphere are both second to none. Key West, Florida just happens to be the only documented city in the continental United States that has never even experienced a frost. You could certainly choose a worse destination for a winter golf trip getaway than to this island paradise. 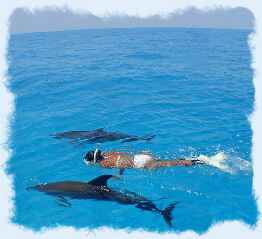 is just located just minutes away from our accommodation in Key West, on Stock Island. The golf course was designed by none other than the legendary and WORLD FAMOUS golf course architect REES JONES (the U.S. Open doctor). Having played a number of Rees Jones golf courses, I would not rate the golf course as one of his better designs. 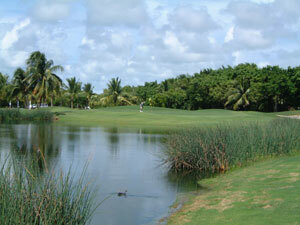 It is however still a very nice course and it's the best golf course in Key West. Okay it's the only golf course in Key West but it's certainly worth playing. The Golf Club is a picturesque 18 hole golf course that will certainly challenge players of all ability levels. The golf course is challenging but is still very playable for the novice golfers if they choose the correct set of tees for their golfing ability level. The golf course features a fair amount of water hazards so make sure you bring plenty of golf balls if you tend to spray the ball around. The course is not very long at 6500 yards from the back tees, which helps make it very playable. The Golf Club features a full service clubhouse and a nicely trained golf staff that will make you feel like you belong to a private golf club. The golf course is located in the center of Stock Island and has the distinction of being the southern most golf course in America! 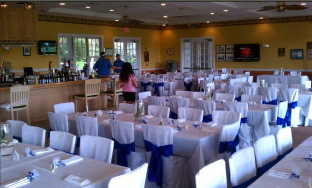 If you're planning a wedding or special event the Key West Golf Club offers a banquet room with seating for up to seventy five guests. They have an outside patio available for additional seating if necessary. The golf club offers a number of different banquet packages for you to choose from depending on your budget. Their rates are not the cheapest you will find, but the atmosphere is hard to beat. To reserve their banquet room for a night will cost you $2000. They charge an additional $100 per staff employee and an extra $300 to have your wedding at their facility. 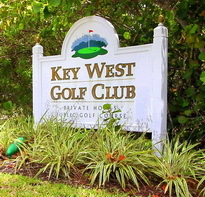 The Key West Golf Club is located in the middle of Stock Island on East College Rd. 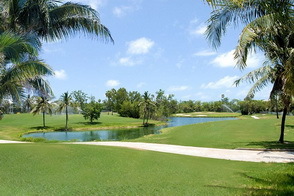 When planning your golf trip to Florida a great rescource you may want to check with is concierge.com. They are a great resource where you may find some great golf specials & deals.